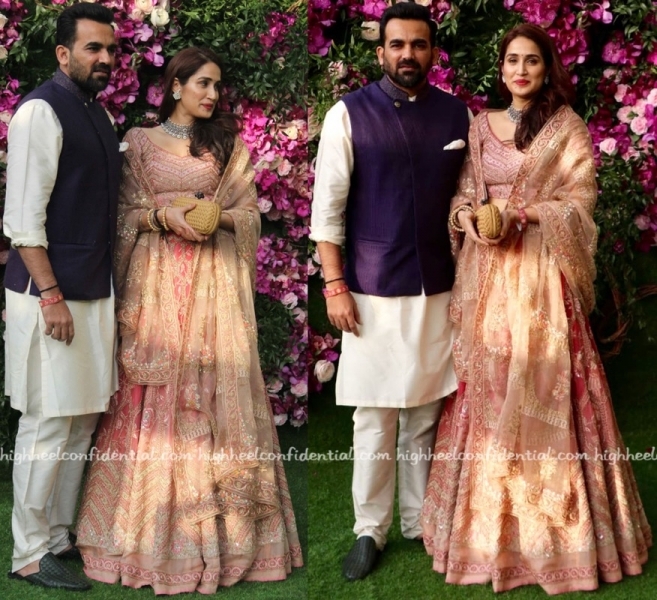 Zaheer and Sagarika were photographed at the Mehta-Ambani wedding with the former wearing Anita Dongre and the latter, a Rahul Mishra lehenga. They looked good. It was a two outfit night for Ms. Padukone on Wednesday who started her evening in a white Rahul Mishra sari and then changed into a black Amit Aggarwal gown. When it comes to Deepika, she rocks a sari just about as good as a figure hugging gown and so that wasn’t the issue here. Loved the sari instantly. But, as much as as I loved that gown on her, the eye-makeup seemed a bit off here. Just me feeling that way? 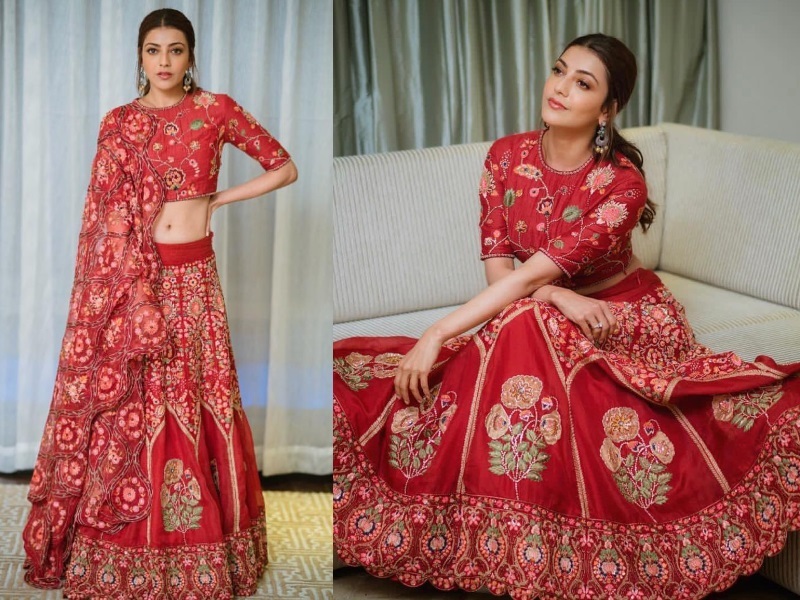 Kajal attended a pre-wedding function recently wearing a red lehenga by Rahul Mishra with earrings by Vivek Jhaveri. She looked lovely! For a round of movie promotions, Yami kept things simple in a Rahul Mishra suit. Not much to fault here, she looked nice. Bonus points for not feeling compelled to go OTT for a television appearance. 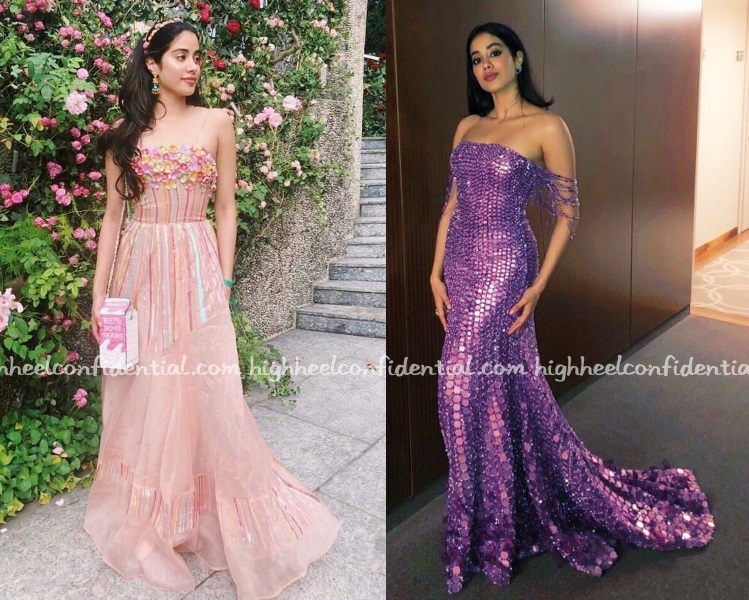 Janhvi sported two more gowns while attending the Ambani-Piramal engagement bash at Lake Como first in a floral Rahul Mishra one and then in a purple Manish Malhotra. Between the two, much preferred her in the purple. Am a big fan of Mishra, but between the color and the floral appliques on the bust, I wasn’t a fan.